David Anspaugh and Angelo Pizzo have been inducted into the Indiana Basketball Hall of Fame. I would argue that they ought to at least get a nod in Springfield. Hoosiers was more than just a movie about a drunk or about a hot-headed coach who got a second chance. It was about David beating Goliath, it was about small-town basketball, personal relationships, racism – it was a movie that crossed so many lines but literally framed basketball for several generations. Kids wanted to be Jimmy Chitwood. Not the kid with emotional problems or that were shy and introverted, but the guy who would step into a jumper and find nothing but net almost every time. Everyone wanted to be the hero. 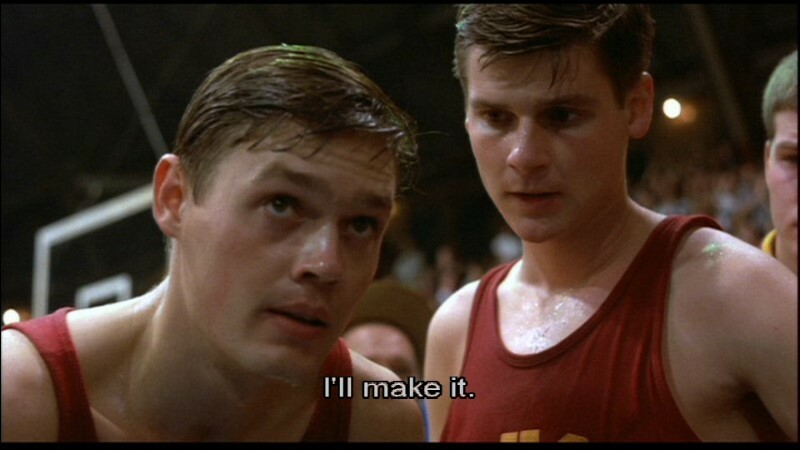 Any basketball player knows Hoosiers. If they don’t, once introduced it becomes one of their favorite movies. It transcended generations and is still relevant today. If announcers can make it into the Hall of Fame in Springfield, why can’t these guys? They influenced the game in a great way, greater than some that line the hallowed halls of the basketball hall of fame.